“Fitrian was responsible for WWF’s work on climate and energy in Indonesia, when I led the global work on those issues. Fitrian always had a very solid understanding of Indonesian perspectives on climate change both on energy and forest related issues, and he was extremely reliable and responsive to provide us with analysis that enabled us to understand Indonesia’s place and role in the bigger, global picture.” Kim Carstensen, Director General at Forest Stewardship Council. 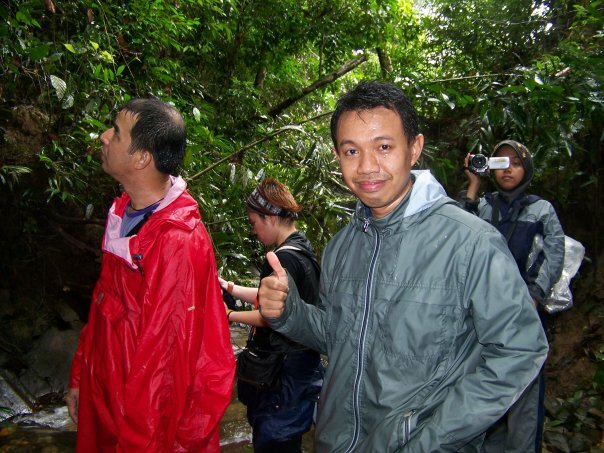 “Fitrian is a committed professional with impressive knowledge and skills in the fields of Climate Change and REDD+. I worked with him on a review of initiatives in REDD+, sustainable forest management, and Green Economy in Indonesia and was impressed by his practical and theoretical knowledge, his easy grasp of concepts and technical subjects, his impressive personal networks, and his ability to quickly condense findings and recommendations in a well structured and easy-to-read manner. I would definitely like to work with Fitrian again and can warmly recommend him to others who are looking for specialists within Climate Change and Sustainability in a broad sense.” Per Rasmussen, International Consultant Owner of “Bush Craft Consulting”. “Working with Fitrian is a true delight. He has excellent strategic insight and has the practical hands-on mentality to lead the strategy into reality. Fitrian’s honest and open personality makes him a respected professional counterpart to different types of people (politics, business, NGO, science etc. )…Not just recommended, but highly recommended! !” Bas Geerts, Standards Director at Aquaculture Stewardship Council and Chair at Monkey Business Foundation. “Fitrian is a very dedicated and capable young professional, with good analystical skills, a great work ethic and collegial attitude. I can recommend him for anything that he would apply for!” Lida Pet, Head of Program, Coral Triangle Initiative, WWF and Owner at The Seven Seas. “Fitrian is an active person working on climate change issues in Indonesia. He contributes quite significant on awareness rising and capacity building program on climate change in the Indonesia.” Rizaldi Boer, Professor at Centre for Climate Risk and Opportunity Management in South East Asia and Pacific-IPB and Director, Center for Climate Risk and Opportunity Management. “Fitrian is excellent to work with and I recommend him as a collaborator in the climate change/NGO space.” James Gifford, Honorary Research Fellow, School of Management at University of St Andrews and Executive Director, PRI, United Nations Principles for Responsible Investment. “Working with Fitrian has been a wonderful experience. Fitrian has a vast knowledge on climate and forest issues, he is charismatic and a diplomat. Fitrian has a great understanding of the complexity of policy discussions as well as on the ground realities.” Lilian Spijkerman, Vice President Public Funding at Conservation International. “Fitrian’s keen enthusiasm, knowledge and friendly demeanour make him a pleasure to work with. His strong background in forests, markets and climate change issues make him a valuable asset to WWF and any other organization that he partners with.” Marc-Antoine Dunais, Managing Director at Catalyze – Sustainability Communications. “Fitrian is a motivated & outstanding professional and a great person to work with. He skilfully combines his knowledge on issues of forests, climate and energy with a sincere passion for sustainability issues and human development.” Peter Van Sluijs, Policy Officer, Knowledge and Evaluation Department at Cordaid.